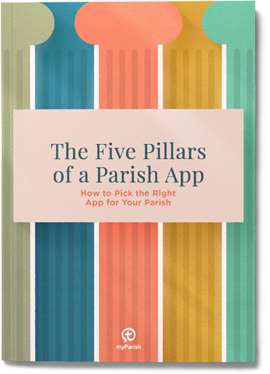 For myParish App administrators, we know it’s important to have good, up-to-date content for messaging and push notifications. But let’s face it: sometimes, it’s hard to think about anything original when you’ve got parishioners’ needs, bulletin deadlines and parking lot lights that need to be replaced, preferably under (really under!) budget. Thank your volunteers! If possible name them. Volunteers for coffee & cookies after Mass, people who usher or cantor, the folks that come early and stay late to set up chairs and tables and then take them down: they deserve our thanks and don’t get it often enough. Remember, messaging and content on a regular basis is a terrific way to keep your parishioners coming back to the app again and again. A few minutes once a week to send out fresh content will certainly make myParish App a more valuable tool for your parish community.